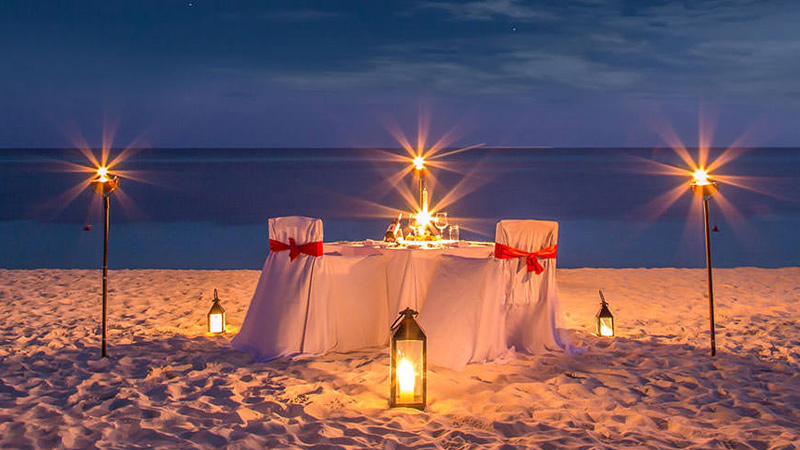 For the honeymoon couples planning a memorable sojourn across the seas, Andaman poses a delightful option. Cocooned and ensconced in the raptures of love, Andaman honeymoon packages from Hyderabad offer attractive and a variety of options. Join the mirth of the vacationers and the glory of the other honeymooners with a forage into the mysterious isles of Red Skin island, adventure-filled North Bay Island, beach-friendly Jolly Buoy Island, history-laden Ross Island, beauty-streaked Ross and Smith Islands and the mirthful Diglipur among many other hidden and exemplary treasure troves of Andaman. Get airlifted by the amazing seaplane Pavan Hans doing pleasure trips from Port Blair and enjoy a mind-blowing aerial view of the beautiful islands dotting the blue seas. It will be the most enjoyable short air trip that you might have enjoyed for quite some time. The blue of the seas against the green and brown of the islands and forests all around is a sheer beauty to watch. The nine national parks scattered across the isles of Andaman sacredly protect and house a milieu of fascinating flora and fauna. Mount Harriet in Port Blair is supposedly most beautiful and exciting among them. Mount Harriet is situated in Port Blair and can be covered by a road trip. Mount Harriet is located in the Ferargunj tehsil of Port Blair and takes about an hour to reach from the heart of the island where usually the hotels are located and tourists prefer to book accommodation. Mount Harriet is the second highest peak of all the peaks scattered across the islands and it is also quite easily accessible. Mount Harriet is a place that can be strongly recommended for the honeymoon couples from Hyderabad. The view from the Mount Harriet of the North Bay Island that is situated not so far away offers an enchanting view that is the find of the image on the 20 rupee note of Indian currency. All of the nine national forests spread across the various islands and each one provides the luxuriant green view with the atmosphere filled by the chirping of birds and the wind whistling its melody. The thick foliage makes the greenery even more soothing. The peak of Mount Harriet overlooks the blue seas and the nearby islands with the most breath-taking view of sunrise lazily settling in the blue seas. Far from the noisy crowd, Mount Harriet offers the honeymoon couples the much sought after privacy and peace in the midst of nature. The romantic stay in the Forest Guest House might not be a luxury stay but it would definitely be a superbly thrilling experience to spend in the silence of the forest. Honeymoon couples from Hyderabad should plan a bit early to get fair and cheap deals for airfare and stay options. As options are plentiful, it is wise to read the reviews and go by trustworthy tour and travellers to tailor-make the vacation from head to tail.